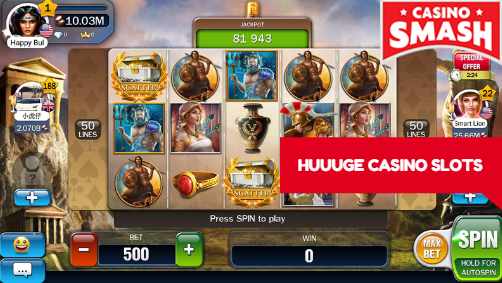 Huuuge Casino Review: Claim 10,000,000 Coins Now! No credit card, no risk sign-up 96% of new players recommend this casino 40 new players chose this casino today! 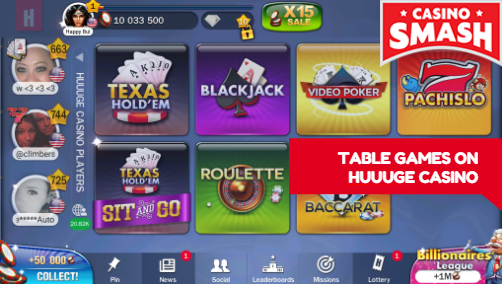 Huuuge Casino is the ultimate mobile gaming experience that allows players all over the world, including US betters, to play online slots legally and with a massive welcome bonus! All new members at Huuuge Casino will receive 10,000,000 free chips when signing up to play online slots for free. Minimum bets for beginner level games start between 500 and 1,000 chips. This means that right off the bat you can play slots with thousands of free spins!! The more you play, the more games you will be able to unlock. You can also unlock an additional bonus of 500,000 coins if you connect to Facebook! 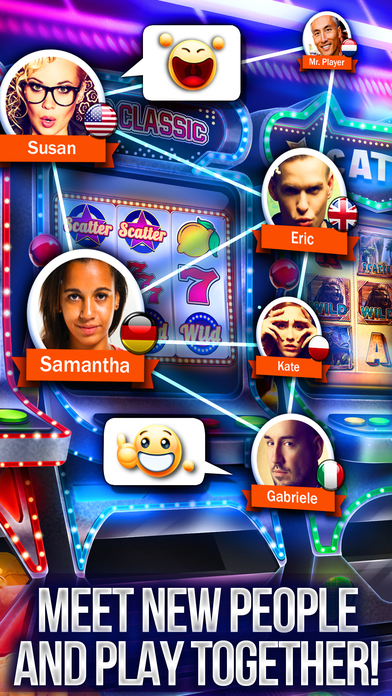 By connecting to Facebook you not only can claim an additional 500,000 coins to play slots for free, but you can also better keep track of your coins and progress throughout the app and engage with other users to play tournaments and games together! At Huuuge Casino there are a massive variety of games you can play on their flawless mobile app. Enjoy dynamic animations and a fantastic loyalty plan that allows you to level up and upgrade to better and better games, and we’ll cover what games you can enjoy next! Play Slots & Table Games at Huuuge Casino! 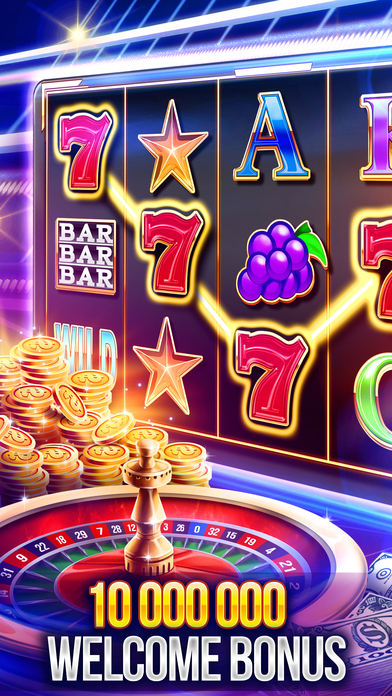 At Huuuge Casino players can enjoy casino slots ranging from newer video hits like Call of the Wild and Wild Western to some of your favorite fruit slot classics such as Burning Hot. If you are a fan of table games you can also play several versions of poker as well as blackjack, roulette, video poker, baccarat and more in their table game section. 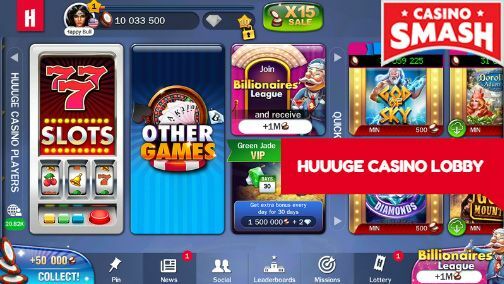 Why Huuuge Casino is the Ultimate Casino Mobile App! 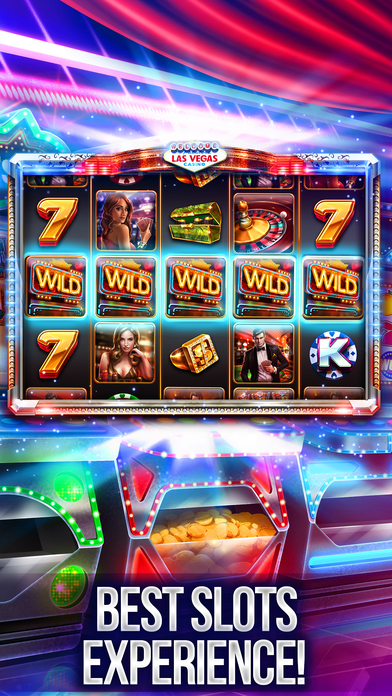 This mobile casino is also available and 100% legal for U.S. players looking for a way to enjoy online slots or any casino card or table game from their mobile devices! All you need is a working internet connection and mobile device and you’re good to go. If you encounter any issues while using the application or can’t find anything you are looking for, there is a built in live chat service that allows users to contact customer support in real time without having to even exit the app. The chat works flawlessly and when we tested it we received a response from customer support within seconds. Huuuge Casino is one of our top recommended mobile casino sites for US players, but boasts an incredible user experience for casino lovers from all over the world. Their collection of games is not only vast, but it also includes quality titles that are sure to satisfy both beginner and advanced mobile casino fans alike.